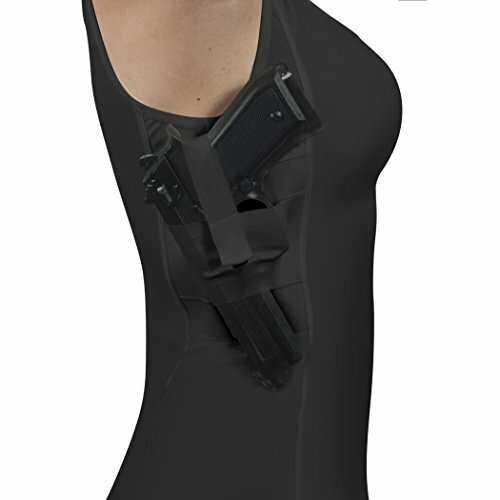 Women's compression tank top for the men who want to conceal your weapon and stay cool at the same time. Features two easy-access holster pockets to carry up to two handguns and spare magazines as well as cell phone, wallet, handgucuffs, and other accessories. The elastic pocket is used to hold your hand gun close to your body for maximum concealment. The retention strap keeps the gun safe in the pocket with it's quick draw clasp. 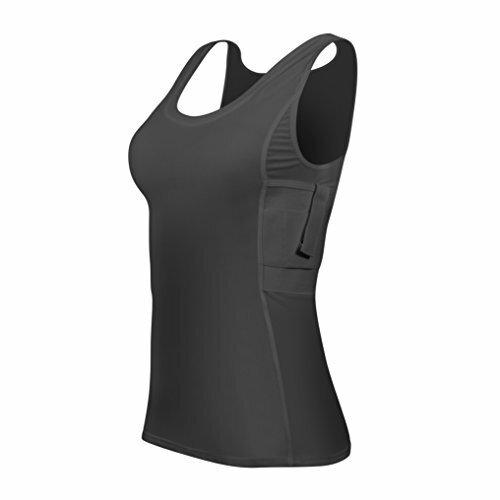 Available in Black or White these tank tops will keep you comfortable while still using the practicality of any concealment shirt. Easy to care for! VERSATILE: Great for both left-handed and right-handed shooters with easy access pockets on both sides and a quick draw strap with clasp. GREAT FOR EVERYONE- Not just for police, FBI, DEA, TSA and other government agencies, this shirt is great for the average woman with a concealed carry. 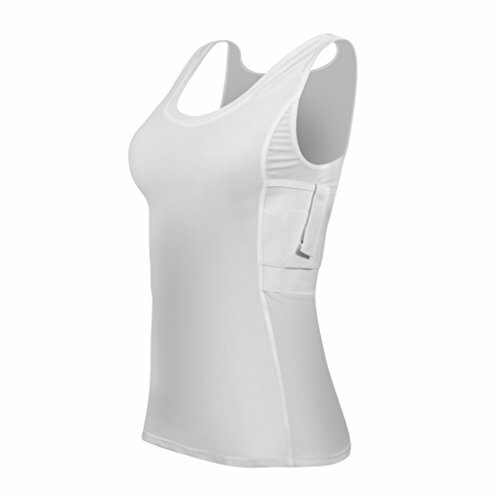 EASY TO CARE FOR: With this 95% Polyester and 5% Spandex blend moisture wicking, anti-odor material, you can wash and tumble dry low with like colors. 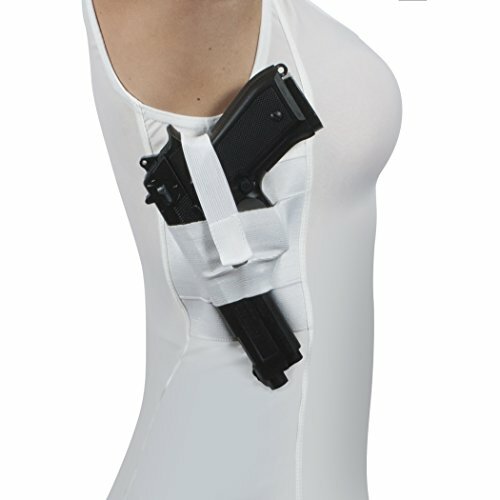 EXTRA POCKETS: The extra pockets on each side are perfect for carrying additional magazines, cell phones, handcuffs, and other accessories. PERFECT YEAR ROUND: Not just for the summer time, these tank tops can be worn under long sleeve shirts as well for year round use.